Anytime anyone says that the secret ingredient in a recipe is ketchup, you have the right to run away screaming. Not this time, though. The shrimp in this recipe are gloriously complex, with the perfect combination of ginger, Chinese Five Spice Powder, scallions and yes, ketchup. Don’t knock it till you try it. They should be called Glorious Ginger Shrimp. August 9, 2011 Angela G.
June 21, 2011 Angela G.
Risotto is one of those dishes that when I see on chefy shows on tv, I perennially call shenanigans. I have made many a stunning risotto in my day, and every single stinking one of them became glorious from the sheer amount of love (read: time) that was poured into the dish. A good risotto required at least a half an hour of my attention and stirring, a goodly amount of time spent prepping the ingredients beforehand and guests ready to tuck in immediately while its piping hot. As such, I only ever made for risotto for folks I truly loved (meaning that if you HAVE had my risotto, you can bet your cutie bootie I adore having you in my life). So the thought that risotto could share a plate with any other dish, and as a side item at that, was preposterous to me. Fast forward a bit to the day that Santa Claus decided to bring me a pressure cooker. I was giddy at first, then frustrated with getting my new baby to do my bidding, but shortly thereafter, head over heels in love. I mastered the darn thing with no true hiccups and questioned why I hadn’t used one sooner. It was a dream! As a means of learning more about it, I turned to the queen of pressure cooking, Lorna Sass. As I poured through her book, Cooking Under Pressure, I found the traditional bevy of stews and braises alongside surprises such as meatloaf and bread pudding. There in the mix, I also found a recipe for risotto that purported the cooking time at under 10 minutes! And, even crazier, no stirring! I felt as if the world had been turned on its head a la Alice in Wonderland – what was this whimsically nonsensical recipe? And how could I wield it in my cooking arsenal? This recipe below is based on my pressure cooker risotto experiments, and the result is mind-blowingly good. Yes, it takes only 10 minutes to cook. Yes, it frees you from 45 minutes of straight elbow grease. And yes, it’s simple enough to serve as a side. The only problem I now have is finding a dish complicated enough to cook for the folks I love for them alone. I’m fine with going on a bit of a culinary hunt for a challenge. 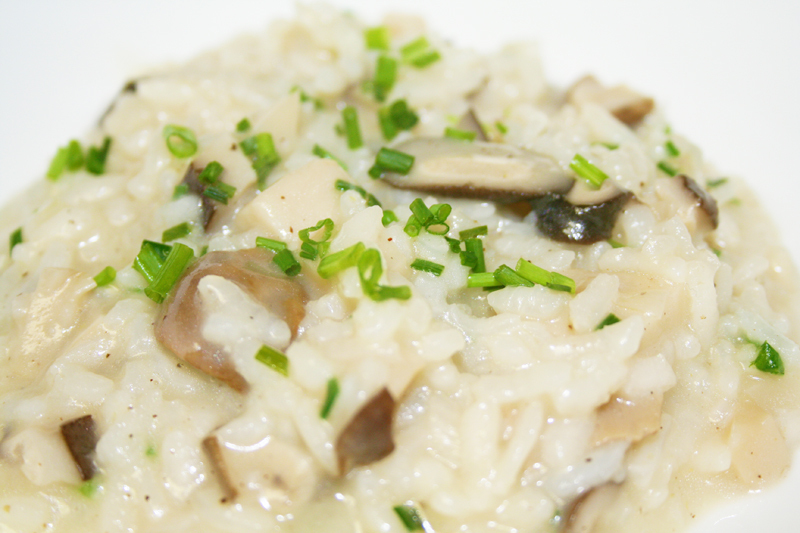 But in the meantime, I’ll be whipping up this risotto. Bring 2 c. of chicken stock to a boil. Add the dried mushrooms and cover. Let sit for about 20 minutes, allowing the mushrooms to rehydrate. Drain the liquid off of the mushrooms and reserve. Pour the liquid into a quart measuring cup and add enough additional stock to make 3 1/2 cups. Melt the butter and olive oil in a pressure cooker and add the onions. Cook for about a minute or until softened and then add the rice. Cook rice until slightly translucent. Add the wine and cook until absorbed completely. Add 3 1/2 cups of stock and white pepper. Lock the lid on the pressure cooker and bring up to high pressure. Cook for 5 minutes and then use a quick release method to bring pressure back to normal. Open the lid and return pot to the burner. Taste the rice for doneness and stir to allow the last remaining stock to be absorbed by the rice. If the rice is chewy and the stock has all been absorbed, add a little extra stock and continue to cook until the rice is tender. Stir in the cheese and taste for salt. Sprinkle with the chives and serve immediately. 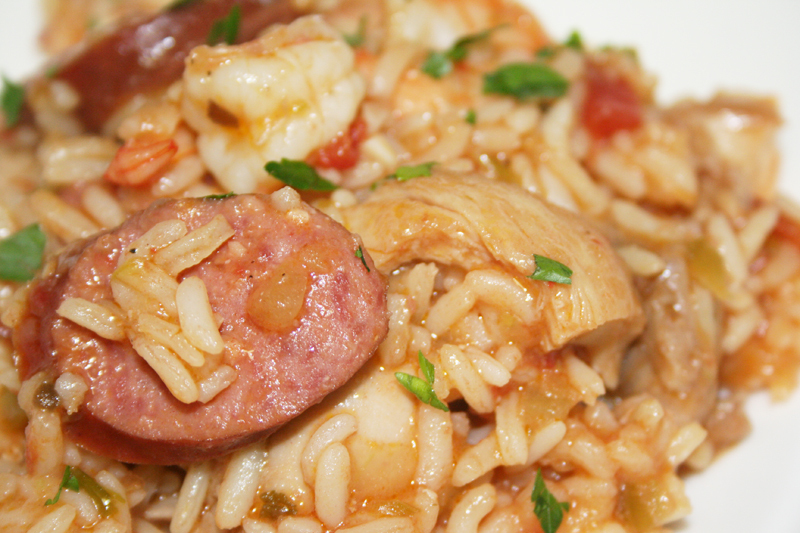 If you do not have a pressure cooker and would like to make this recipe, use the same ingredients, but follow the instructions for Rock Shrimp Risotto. May 15, 2011 Angela G.
Nope, no bits of real porcupine in this one. Just a good ole-fashioned Italian meatball recipe with the inclusion of rice – imagine the filling for stuffed peppers as a standalone dish. That’s the goodness that is this porcupine free recipe. Recently, my good friend Joey (owner of Maple Ave Restaurant in Virginia – if you haven’t eaten there yet and are near by, shut down your computer and go right now. Or at least bring this with you on a laptop and get someone to drive you there) posed the question on her Facebook page “What’s your favorite Fall vegetable?” I was completely in line with people’s responses of pumpkin and squash. I even gave a silent nod, though no one mentioned it, to artichokes (oft thought of as a Spring veggie, artichokes actually love the cold). But my answer, which came with not a moment’s hesitation, was swiss chard. These dolmades are made with ground lamb and rice, but feel free to replace the lamb with beef for simplicity, or leave the meat out entirely and make a batch with just rice and herbs. I top the leaves with an Avoglomeno sauce that’s adapted from Greek queen of chefs, Cat Cora. It’s a luscious blend of eggs, lemon and dill and is equally devourable hot or cold, and just elevated the dolmades to a whole ‘nother level. UPDATE: For a kickass vegetarian filling, check out this recipe over at My Darling Lemon Thyme. It’ll have you praising Spring for being one of the sexiest seasons around. Set a large pot of well-salted water to a boil. While that is coming up to temperature, make your filling. In a large bowl with your hands (or gently with a stand mixer) mix the beef, onion, mint, rice, pepper, salt and olive oil. Make sure to combine all ingredients but not overmix. Set aside. Prepare your swiss chard leaves by cutting out the fibrous middle stem while keeping the rest of the leaf intact. Set aside. Once your water is boiling, take the leaves, one at a time, and plunk them into the boiling water for 1-2 seconds and then remove them to a plate. Since we are not shocking them with a cold water bath after removing them from the hot water, the leaves will continue to cook a bit as they cool. This is perfect for getting them pliant. After you’ve cooked all of the leaves, set up a station where you can roll the dolmades. On a clean cutting board, place a leaf flatly on the surface and add a heaping tablespoon of meat filling. Fold the two sides of the leaf in over the filling and roll the whole thing up like the world’s smallest burrito. Place the stuffed chard in a 13x9x2 pan, seam side down. Repeat with remaining leaves until you run out of filling. Pour a can of chicken broth over the leaves and cover with foil. Bake for 25-30 minutes, until the leaves are tender and half of the stock has been absorbed. Remove from the oven and let sit. In a mixing bowl with egg beaters or a stand mixer, beat the eggs, lemon juice, salt, pepper and dill until frothy and pale golden. Continuing to beat the mixture the whole time, carefully pour in the remaining chicken broth from the pan of dolmades. Make sure to do this slowly, or you’ll have lemon flavored scrambled eggs instead of a smooth sauce. Once it is all incorporated, pour the mixture into a sauce pan and turn the heat to medium. Continue to whisk the sauce until it thickens enough to coat the back of the spoon. Pour sauce over your dolmades. Serve them immediately as a hot dish, or let rest to room temperature or even cool as a variation. These little guys are good every which way. I don’t care how easy they say that they are to make, those rice blends at the supermarket are overrated. Dehydrated herbs and chicken flavor make up the taste profile, and you can’t be sure how long it’s all been sitting on the shelf. You can totally take control of your own destiny – make your own rice pilaf in the same amount of time with no fillers or preservatives. This pilaf takes ordinary converted rice and boosts it with a bit of toasted orzo. The little pasta grains impart texture, nuttiness and a lovely color to the dish – you get depth of flavor with really no additional work. This recipe is a great, quick side for a weeknight dinner – while you prepare your main dish, you can have a pot of this simmering away on the back burner. Best of all, when it’s done, you can fluff with a fork and recover until the rest of the meal is finished. It’ll wait for you until you’re ready to go. Rice that’s patient? Who woulda thunk it? In a medium pot, heat the olive oil to shimmering. Add the butter and the orzo to the hot pan, continuously stirring to brown the orzo but not burn it. Once the orzo is toasty brown, add the rice, pepper and oregano. Stir to combine and add the chicken broth. Let the mixture come to a boil, then cover the pot and lower the heat to low. 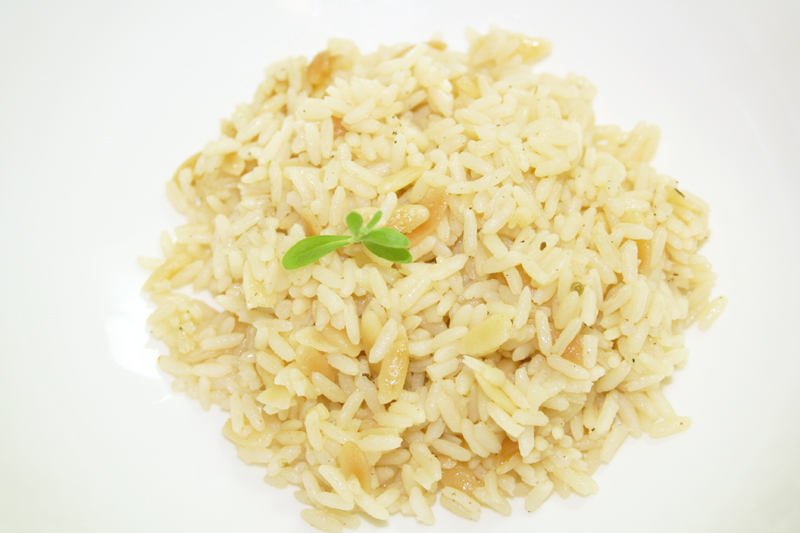 Cook pilaf until all water is absorbed, about 20 minutes. Uncover rice and fluff with a fork. Serve.